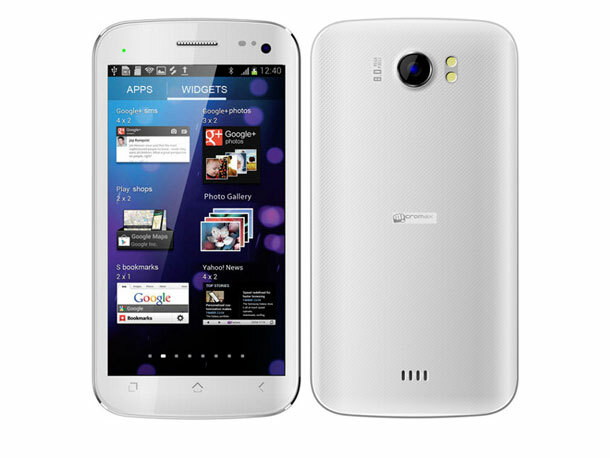 Micromax has launched yet another dual-SIM GSM smartphone – the Superfone Canvas 2 A110. It looks similar to the Canvas A100: It has a 5" IPS multi-touch display with pixel dimensions of 854x480, it runs Android 4.0 (Ice Cream Sandwich), and it even has the same initial pricing. Under the hood, the hardware is remarkably better, though. First off, it is powered by a dual-core 1 GHz CPU as against the single-core variant in the former (with the same clock speed), and it sports an 8 mp main camera as against 5 mp. Dual-SIM GSM (Mini-SIM); 2G 900 / 1800 MHz, 3G UMTS 2100 MHz. 5", 5-point multi-touch IPS screen with pixel dimensions of 854x480. 8 megapixel rear camera with dual-LED flash, auto-focus, geo-tagging, touch-to-focus, face detection; 0.3 megapixel front camera. Supports up to 32 GB via microSD. Wi-Fi with hotspot, Bluetooth 3.0 with A2DP. 2000 mAh Li-ion battery with up to 5 hours talk time and 180 hours standby time. 5.79" (l) x 3.01" (w) x 0.38" (9.7 mm) (d). Available colours: Jet Black, Calm White. Package contents: Handset, user guide, USB cable, warranty card, charger, battery, handsfree. We don't yet know the internal storage capacity and the RAM. The phone is available at Saholic.com for Rs 10,000 in Jet Black and Calm White colour schemes. Based just on pricing and specifications, we think it is a good buy — but performance and after-sales service must be considered before making a purchase decision.